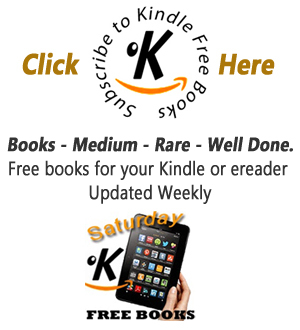 Some of the best urban fantasy to be found on the bookshelves today. 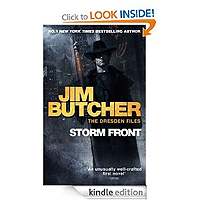 Take traditional hard boiled fiction, give it a mind bending preternatural twist and you have Storm Front, the first book in a new series with the potential to send author Jim Butcher to the top of the gumshoe sub-genre of horror/fantasy fiction. Harry Dresden, the series' protagonist, is everything that's great about the hard boiled anti-hero, with a twist: He's a wizard trying to make a living working practical magic in a modern world that's foolishly rejected the supernatural in favour of science and technology. Part average guy, part renaissance man, Harry's got a dark side, a wicked sense of humour and a deeply rooted, personal code of honor that drives him to risk everything to fight the supernatural forces preying on his clients, an attitude that puts him at constant, dangerous odds with both the bad guys and the authorities alike. In Storm Front, when a routine murder investigation turns out to be anything but routine, the police reluctantly turn to Harry for help. But a case that started as a way to pay the rent soon gets complicated for Harry when he's forced to cross paths with the Chicago mob and a mysterious figure known as the Shadowman, drawing Harry into a web of black magic and danger. (Whole series). The Dresden Files books are one of the few things in recent years that I've been sad to finish. The plot is well polished with the action zipping from one catastrophe to the next while the characters are well rounded and plausible. JB manages to engage the reader with all the characters and make you invest your feelings in them. Book after book I cared what happened to each of the main characters and wanted to read more. The mechanics behind the plot make sense and the story is divulged in such a way as to make you want to keep reading. Dresden himself is funny, individual without being derivative, imposing and yet utterly human in all his faults and short-comings. He's a character that can be identified with and feared at the same time. And just when you think the series is settling into a formulaic rut? Nah. Everything changes. I won't spoil it.